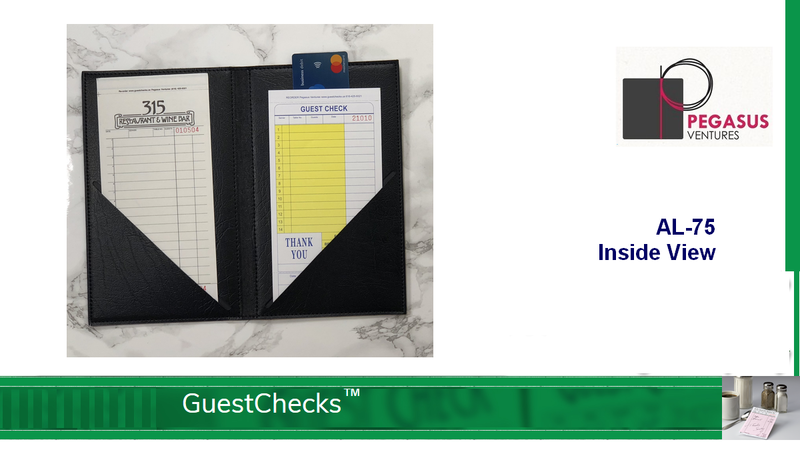 Bring guests their check with the AL-75 durable restaurant guest check presenter offered by Pegasus Ventures made using elegant soft vinyl designed to hold guest checks up to 5 inches wide and 9.5 inches in height. 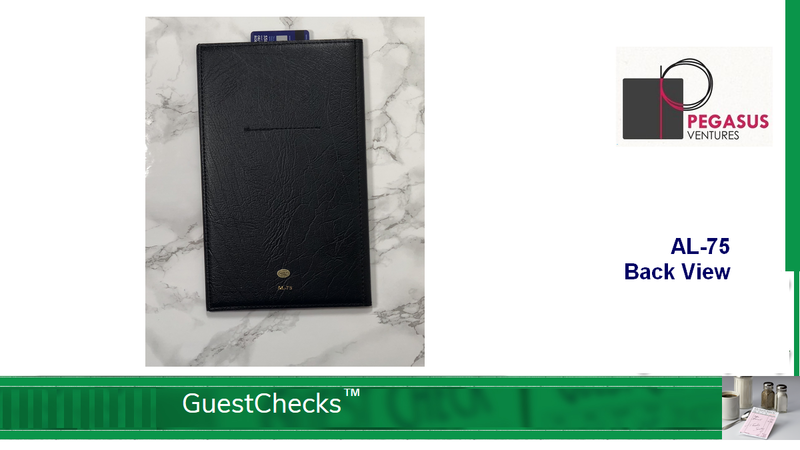 There are 5 AL-75 guest check presentation folders in each case. 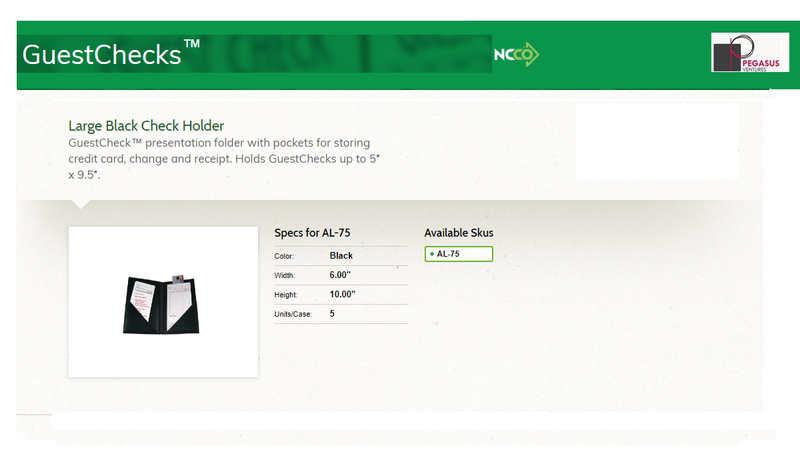 Pegasus Ventures ships the AL-75 the same business day when orders are received by noon Eastern time. 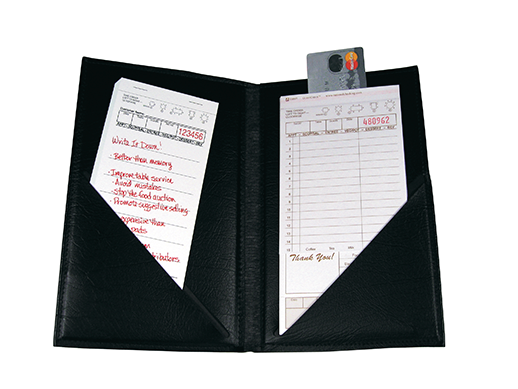 All other orders ship the very next business day. 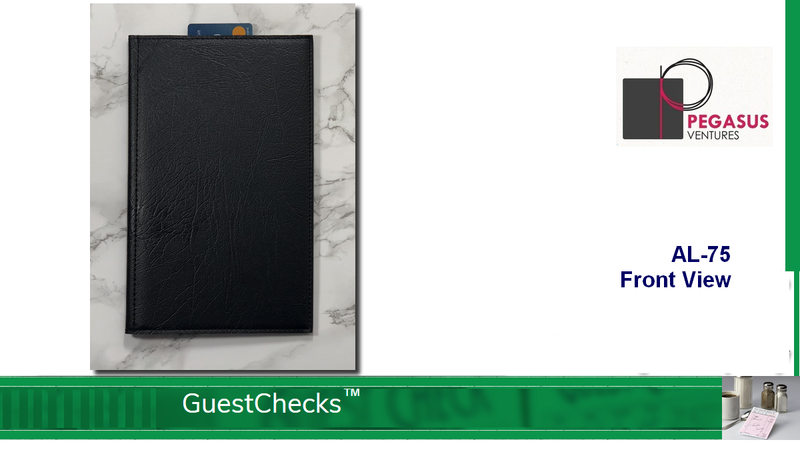 The AL-75 Guest Checks Presentation Folders are always in stock and ready to ship to your restaurant, catering business, institutional kitchen and, of course, your home.